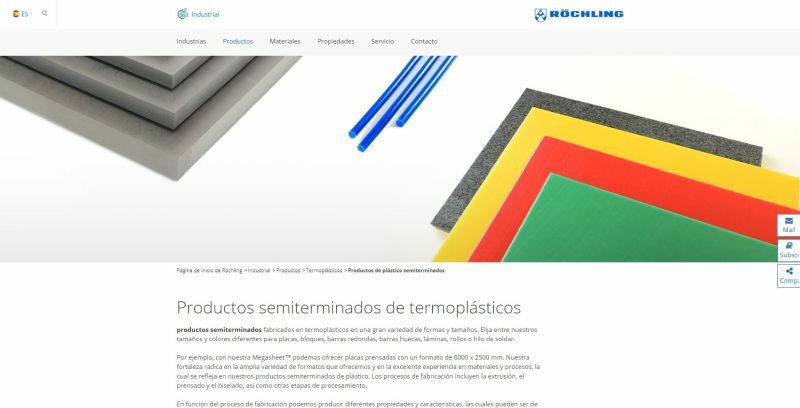 Haren, 17th July 2018 – All contents of the Röchling Industrial website are now available in the Spanish language. Customers from Spain and South America will find all content about the extensive range of semi-finished products and machined parts made of thermoplastics and composites in their national language as well as information on specific solutions and products for numerous industries. With this step, Röchling Industrial facilitates the process of establishing contact for customers and potential buyers from Spain and South America and further improves service.